Great Dalby is a large village, close to the town of Melton Mowbray in north-east Leicestershire. Non-conformity in the village was predominantly Methodist. The religious census of 1829 records 36 Methodists, but no other denomination. 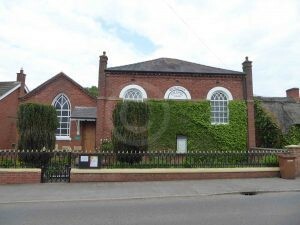 A Wesleyan Methodist chapel was erected in 1846. A congregation of ninety attended this chapel on the day of the religious census of 1851, or just over half the chapel’s capacity of 155. Attendance at the Wesleyan Sunday School was also relatively high, at 57. This figure is likely to have remained high, as a new Sunday School was built in the village in 1889. Meetings of the Wesleyan Band of Hope – a temperance organisation – began in October 1895, in the school room of the chapel. On the first session there was ‘a very large company present’. 1829 Religious Census, entry for Great Dalby, QS 95/2/1/42.